The team leader was called by Cumbria Police to deal with an incident in Eskdale. A group of three male walkers who were returning to their car at Brotherilkeld from a walk up Scafell heard whistles and lights on the valley side opposite them in the area of Brock Crag. A limited callout was made to investigate the findings and five team members and a search dog went up to the Farms. 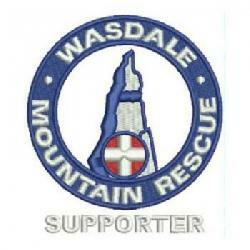 The team located two walkers who were benighted and calling for help. They were located and safely walked back down off the fell to their car at Brotherikeld. There were eventually a total of eleven team members on the rescue including the five who turned up at the base and were stood down as sufficient numbers were already dispatched to the limited search. Rescue completed by 2200 hrs.